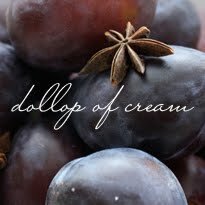 This is the kind of recipe I could see my mother being attracted to. She would look at it and think it would make a fine soup, if only she could add some lentils or dark leafy greens. This is a simple soup, and it was meant to be a simple soup. But Amanda Hesser hasn't let me down yet, so I headed off to find the best fennel fronds I could. This is rather a spectacular fennel-frond specimen, isn't it? The fennel glistened in the melted butter while I chopped and chopped the carrots and garlic. A little more frying to bring out the sweetness of the carrots and garlic, and then a chicken stock and water bath. After 25 minutes, everything softened up and I stirred in a bit of orange juice, sour cream and chopped fennel fronds. I was a bit concerned at this point – I mean, acidic orange juice and sour cream? Can you say curdle? Well, I needn't have worried. The sour cream does separate a bit, but it just doesn't matter. It seems to like to sit on the top of the soup in a buttery-brothy layer. Which means that every time I dunked my spoon in, I got some. And it was lovely. 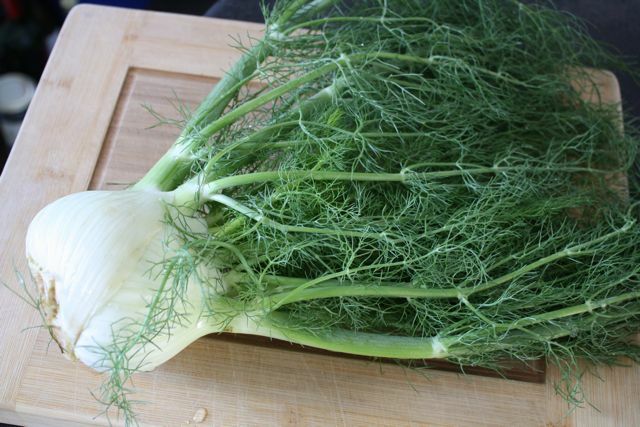 Scott says it reminds him of a Mennonite soup (possibly because the only Mennonite seasoning appears to be sour cream), except that he's pretty sure that Mennonites don't eat fennel. It reminds me of a kohlrabi soup we had at the Literaturhaus Café in Berlin, sitting outside in the garden, as the summer sun slowly set. 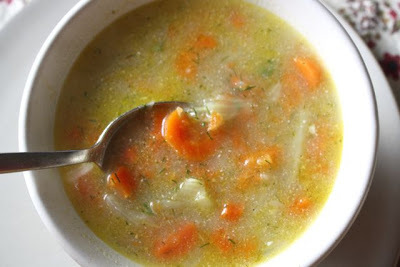 The soup had such a fine, silky broth with big nuggets of kohlrabi and carrots and potatoes. This soup is kind of like that. It is simple, but it's also much more than the sum of its parts. 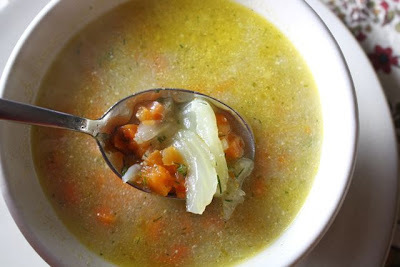 The broth is lovely and thin, and the carrots and fennel slices are big and soft, just waiting for your spoon to find them. Set a big heavy pot (like a Dutch oven) over medium heat. Once it's heated, add the butter. When the butter has melted and looks foamy, stir in the fennel slices. Cook for 8 – 10 minutes, stirring every so often, until the fennel has softened. Stir in the carrots and garlic and cook for 1 more minute. Pour in the stock and water, and season with salt. Let the soup come to a simmer and cover it. Let it simmer until the carrots are very tender, which should take about 20 – 25 minutes. Take the pot off the heat. Stir in the orange juice, sour cream and reserved fennel fronds. 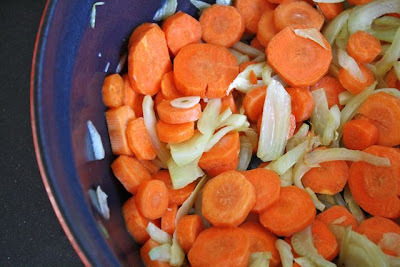 If your carrots are soft enough, use the back of a spoon to mash a few against the side of the pot. If they're tender but firmly intact (as mine were), push a potato masher down a few times to break them up a bit. However, this is completely optional, as this soup is meant to have a silky, fine broth with big nuggets of carrots and fennel slices. Season with lots of freshly-ground pepper, and more salt if necessary. Serve. * The original recipe just calls for water here. If you don't have chicken stock, use water and season accordingly. But I do think the chicken stock gives a rounder, richer base to the soup. ** The original recipe calls for fresh orange juice. I obviously didn't see that when I bought a big jug of Tropicana. It was still lovely. Definitely! And if you could convince someone to make you fresh buns . . . even better! Mmmm soup;) thought of you recently when I made the simple tomato sauce from last year.... And as I baked bread from the Macrena cookbook today. Hope life is well. Thank you, Madeline! I miss seeing you and sharing good food ideas -- I'd love to hear what you've been discovering lately . . .
No great culinary adventures of late ... Lots of introducing the little man to new foods. Though I got a new pie cookbook for Xmas... From said little man. It's by Ashley english. I recommend the book... And looking up her blog! The ginger lime pie is awesome. Ashley's blog looks lovely . . . and I love the name: Small Measure. 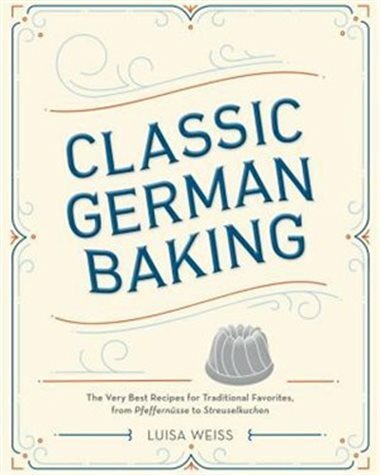 I'm going to request that pie book at the library right now (just picked up the Wednesday Chef's Berlin Kitchen today -- finally!). Thanks for the tip! This soup looks amazing! I am endeavoring to convert Kristian to a soup lover, and since this one has sour cream in it (a Norwegian must) it may do the trick. I sure hope it does . . . a life without loving soup is hardly a life -- good luck!